Garage doors must open and close without anything getting in their way. That’s a rule. So before you start shopping around for arbors or ideas on how to build one yourself, make sure you have sufficient space and the door will not be obstructed. This can happen if you have an up-and-over door and choose a trendy arbor style with side sections. In a different case, you have nothing to worry about. Then, you must pay attention to the material you are going to select. Wood is the most popular choice because it is warm and the best material for natural environments. But make sure it is resistant to insects, rot, and cracks to avoid constant maintenance. After all, most garage door arbors are complemented with flowers and climbing plants (make sure they don’t get in the way of your garage door) and so it will become more difficult to maintain the trellis. Take accurate measurements, especially if you own two single garage doors. In this case, you need to place three brackets (one on each outer side of each door and one at the center pillar) unless you decide to place the brackets over the garage door opening. Choose the style and color of your arbor. They should match the home’s exterior in order to improve its looks. Today, you can have your arbor custom made to meet your expectations – curved, plain, ornamental etc. Decide on the size of the arbor – how much it will protrude from the wall. Typical garage door arbors are not very wide. But it won’t be a bad idea to build a whole pergola (similar to that over your backyard deck). This will be a convenient solution given you have the space in the driveway in case you tend to keep the car parked outside often. It will provide shade and protection from all elements. 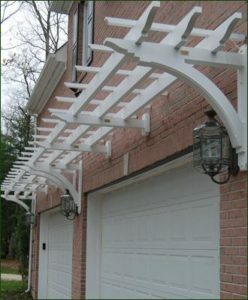 If you like the idea of arbors over the garage door, you most likely love pergolas. And so you can create several focal points (over the windows, main door, siding etc.) and match their style. 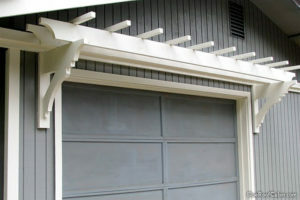 To keep the overhead garage door operating free of climbing tree obstruction, include side pillars (like regular pergolas have). If you install a regular pergola rather a small arbor, you also create extra outdoor space. A modern approach with a warm feeling would include a wood garage door and a matching wooden pergola in crispy lines. If you don’t plan to add greenery, choose contrast colors to the siding and exterior walls – for example, a white arbor to a blue house. 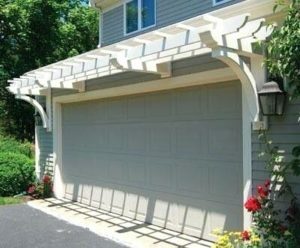 Drop the pergola style and get a gazebo design over the garage door. 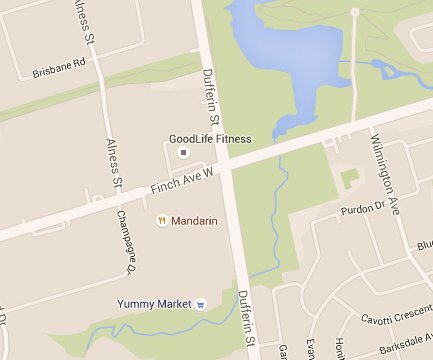 This simply means that the small (or large) area right outside of your garage will have a roof. The choices and designs are actually endless. You can choose a simple arbor, a large pergola, an arch, or a gazebo and will make a difference no matter what you install. Such home improvement projects won’t only increase the curb appeal but the value of the property too. So go ahead and get started today.